Do you need WordPress website maintenance, Content editing, plugin install, theme customizer, Error fixing? I am here to provide those services to you. Note: Price may be changed on work complexity but I hard try to keep low price with the best quality. 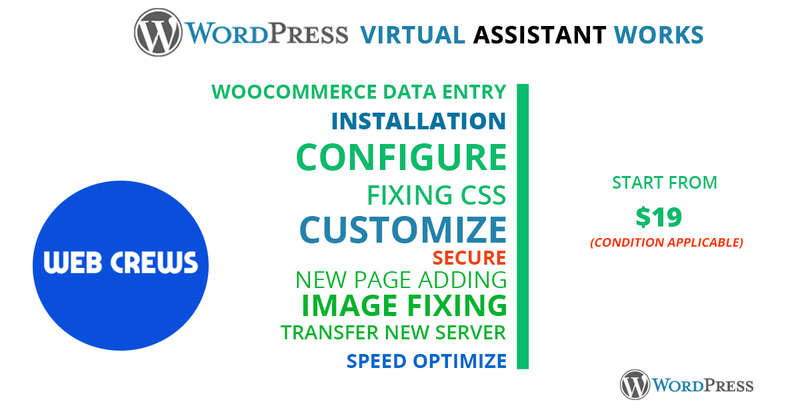 I will do 3 hours WordPress Professional virtual assistant for your business is ranked 5 out of 5. Based on 1 user reviews.